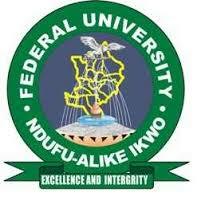 Federal University Ndufu-Alike Ikwo (FUNAI) , Ebonyi State Hostel Allocation Application Form for Freshers/Newly Admitted Male and Female Students for 2018/2019 Academic Session. This is to inform all fresh students of the Federal University Ndufu-Alike Ikwo (FUNAI) , Ebonyi State, who are interested in Hostel allocation that they are required to register online through FUNAI portal. Application for Hostel allocation will close on Sunday 5th November, 2018.